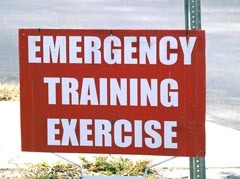 The Phoenix Group has a wide variety of products to suit your disaster response requirements. Products are frequently bundled with training so participants have disaster kits with them on the job site. Also prepositioned containers, situated in close proximity to the corporate buildings, can be placed then filled with all the necessary supplies needed in a disaster. Medical supplies, food, water, sanitation, generators and more are stored in the containers in order to give employees lifesaving treatment and sustenance to continue through the disaster. The Phoenix Group proudly offers an extraordinary software program that simplifies the required ICS forms. The Easy IAP program streamlines the ICS paperwork process resulting in a drastic reduction in personnel time and energy. Information is entered once and populates to all the appropriate NIMS forms. All corporations have unique requirements and requests and The Phoenix Group will tailor these needs to suit each client.